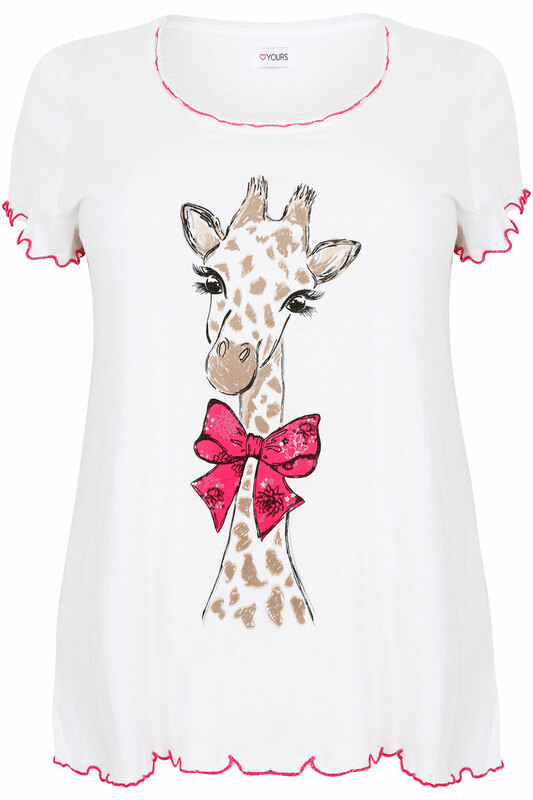 Plus size ivory pretty giraffe print pyjama top with pink frill edges. 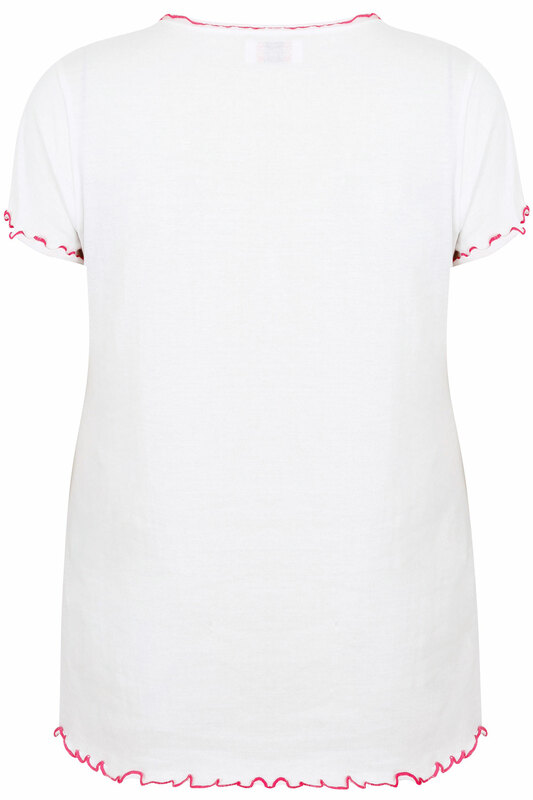 Featuring a scoop neckline and short sleeves. Made from a comfortable jersey fabric that is great for snuggling up in.